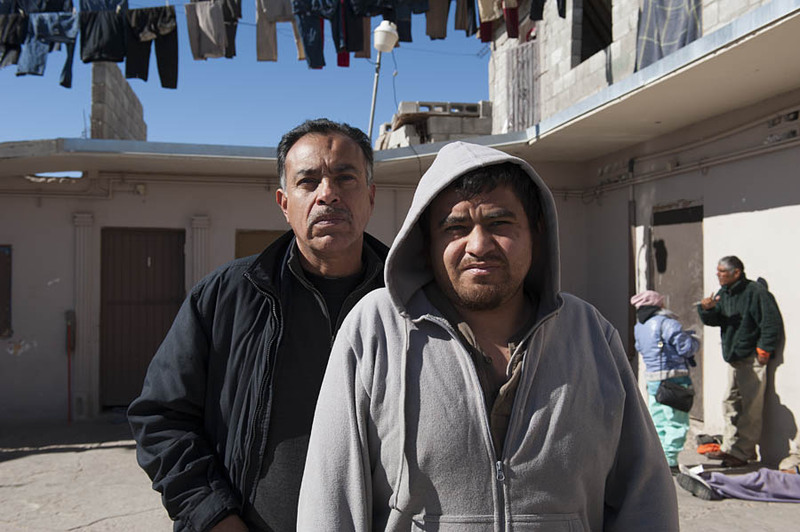 World famous photographer Julian Cardona lives and works in Ciudad Juarez and has documented life in that city and other border regions for many years. 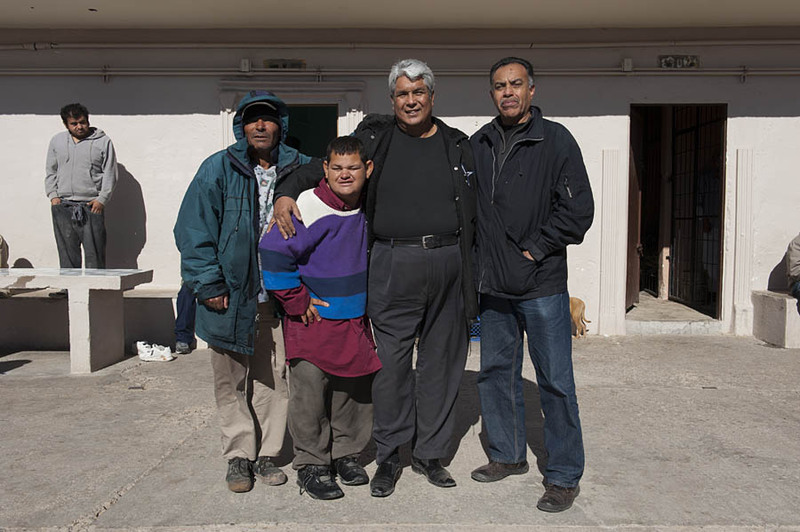 He is shown here at the insane asylum ‘Vision en Accion’ near Juarez where he photographed the patient and friend Manuel (first and 3rd image) for Charles Bowden‘s book ‘Murder Capital’. The director and founder of the asylum is Pastor Galvan (last image). Cardona was the recipient of the Lannan Foundation Cultural Freedom Fellowship in 2004. 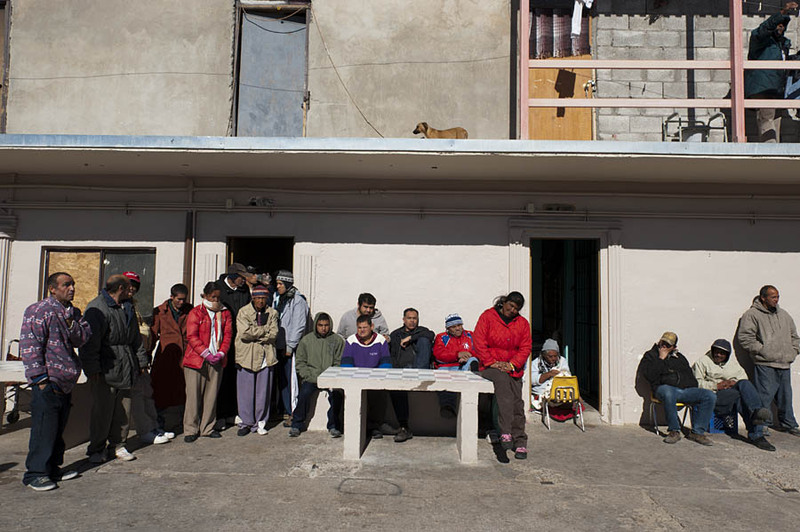 His work has been exhibited in Mexico, the United States, and Europe. View his photos in Vanity Fair and read his bio and see more work. 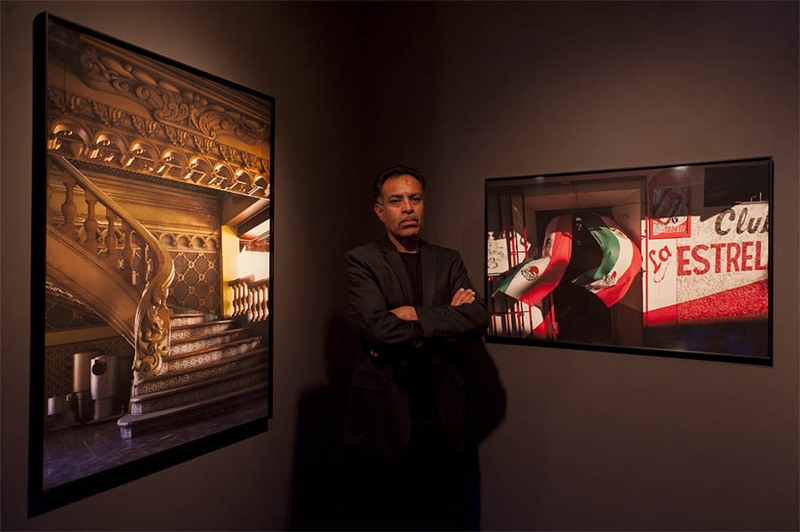 Below: Julian Cardona at an exhibition of his work at the Rubin Center in El Paso in 2012.